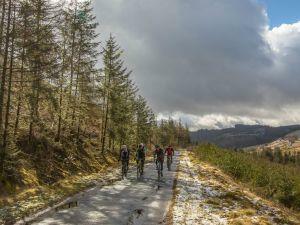 Gritfest is open to all off-road bikes and features two days of incredible riding around the Cambrian Mountains in Mid Wales; it will include timed special stages on gravel and over a mixture of terrain. Venue: Cilycwm, Llandovery SA20 0ST. Event Features: Accurate Electronic Chip Timing, Camping from Friday to Monday, Finishers T-Shirt, Event HQ facilities & parking, On-Site Catering, Full route marking, Family & Friends welcome, Prizes for category winners. Standard entry price: £109.00 + booking fee. On the A40 Brecon to Llandeilo road at junction with the A483 from Builth Wells.